Here is a picture of Jean Monestime on January 16, 2015 as became the 1st Haitian American Miami-Dade Commission chairman. Jean Monestime has achieved another distinction in his career. He has been elected hands down by his fellow Miami-Dade Commissioners as chairman, the first Haitian-American to be so honored. 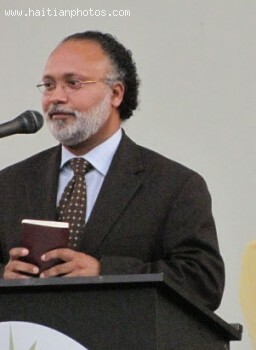 In 2010 Monestime also served as Miami-Dade's first Haitian-American commissioner. At the swearing-in ceremony Monestime talked about plans to lift South Florida citizens up from poverty. He expressed his gratitude to the residents of District 2, who have placed their trust in him to serve their interests. 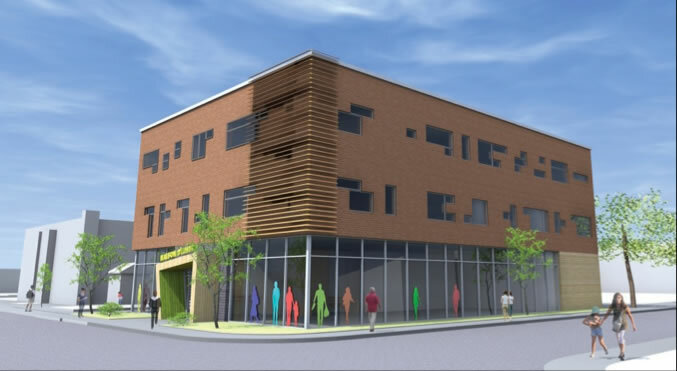 This is the project to improve La maison D'Haiti in Montreal, Canada. Located in Montreal, Canada, the La maison D'Haiti is a place that tries to facilitate the smooth integration of Haitian immigrants into Canadian society. Going above its call on January 12, 2010, the community center became the place where Haitians, anxious to hear news about the turmoil back home, gathered for news. Five years later, the day was remembered at the centre with a three-day ceremony entitled "Ayiti là! Histoires d'un tremblement de c�"ur", which translated means, Haiti! Stories of a quake that shook our hearts. 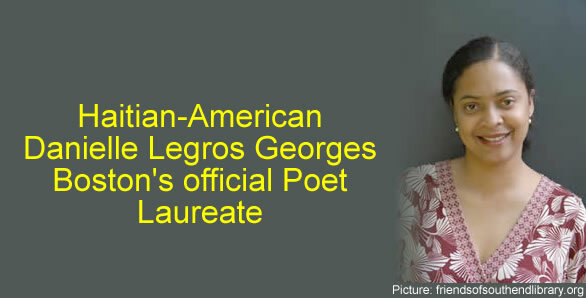 Here is a picture of the Haitian-American Danielle Legros Georges, Boston's official Poet Laureate. Danielle Legros Georges, a teacher of Creative Arts at Lesley University, is the new poet laureate of Boston. Her four year term will begin in January 2015. Danielle is a widely published poet and translator and a native of Haiti who moved to the United States at age of six with her parents who settled down in Mattapan, amid a small Haitian population, that has since expanded dramatically. She writes on a variety of topics, some of which was created out of her experience as a Haitian diaspora. Her academic area focuses on contemporary American poetry, Caribbean literature and studies, African-American poetry, literary translation, and the arts in education. She will receive an annual stipend of $2,000 and a fund of $3,000 to arrange programs on "raising the consciousness of Bostonians on local poets". Since her mother died of a prolonged illness, she understands the needs and wants to work on the elder care facilities for senior citizens. 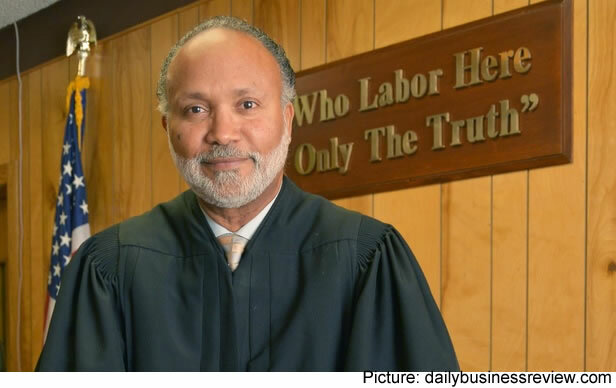 Here is a picture of Miami-Dade County Court Judge Fred Seraphin. Fred Seraphin, selected by Governor Bush, became county court judge in Miami-Dade in 2001, the first Haitian honored. After earning his law degree he worked as assistant public defender in Miami-Dade for a decade, interspersed with a stint in private practice. Seraphin is a community builder: co-chairman at Haitian Families Neighborhood Resource Center. He also mentors in the Big Brother, Big Sisters program. In 2001, the Haitian Lawyers Association bestowed its Humanitarian Award on him. Judge Seraphin is an adjunct professor at Barry University. 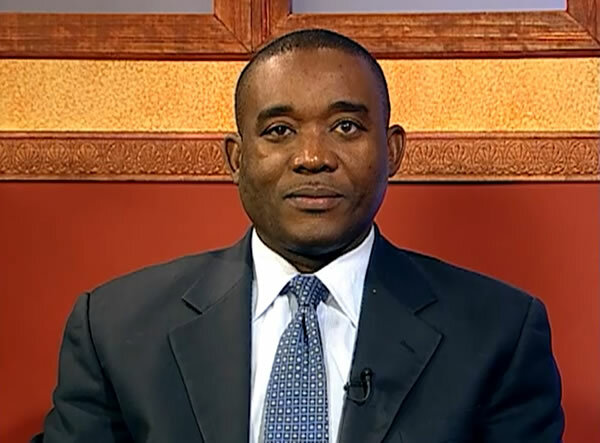 He is the chairman of the Board of Directors of Sant La, The Haitian Neighborhood Center, Inc., a not for profit corporation servicing the South Florida Haitian Community. He is a mentor with the Big Brothers Big Sisters and is on the Leadership Council of Take Stock in Children of Miami-Dade County, Inc., also a mentoring program for youth. Here is Mr. Jean Monestimewho was elected chairman of Miami-Dade County Commission. 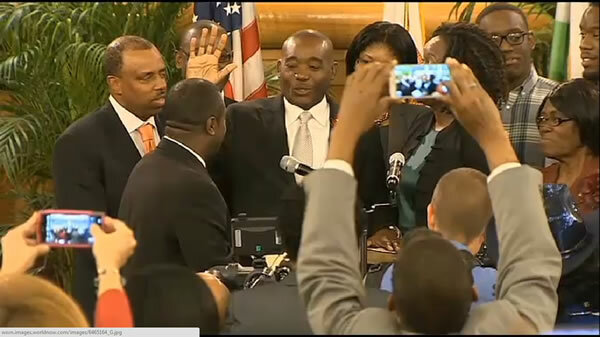 On Monday 24 November, 2014, a history was made when Jean Monestime, after being reelected on 26 August, 2014, as Miami-Dade County Commissioner came to swear in for the second term (he was first elected on November 2, 2010), he was unanimously elected by his peers to serve as the first Haitian-American Chairman of the Miami-Dade Board of County Commissioners. His two-year term as the Chairman will begin on 1 January, 2015. Jean Monestime is a former North Miami Councilman. He is the President of a full fledged real estate and insurance company named "Jacob Monestime & Associates, LLC" in North Miami. He works as a part-time adjunct professor of management at the University of Phoenix, a former Miami-Dade public school teacher and a small business consultant. He obtained his MBA degree from the H. Wayne Huizenga School of Business and Entrepreneurship and was graduated in Finance from Florida International University. He has been a long time resident of District 2 where he lives with his wife Kettia and two sons. 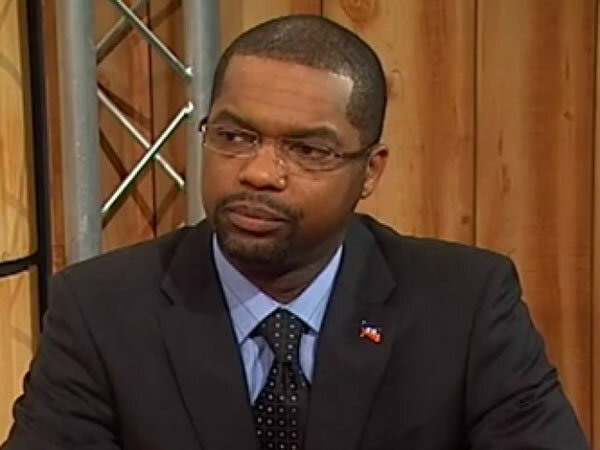 François Guillaume II, the Minister of Haitians Living Abroad (MHAVE) is determined to get the Haitian community involved in Haiti. Considering all the skills and education acquired by many Haitians all over the world, he wants to implement an integration policy where young Diaspora professionals can go to Haiti and apply theses skills in Haiti Public Services. Minister Guillaume said in 2015 his ministry will initiate a pilot program using skilled young professionals from the Diaspora working in Haitian Public Service. The program will last nine months. Each participant's profile will be matched to the public institution that best meets its needs. Minister Guillaume sees their role as helping ". . . modernize the public administration and . . . private sector through their diverse skills . . . . This program will be a . . . strong link between Haiti and the Diaspora." As she repeated in a news conference given recently: "Boycott Bahamas! Boycott Bahamas to end discrimination against Haitian children!" 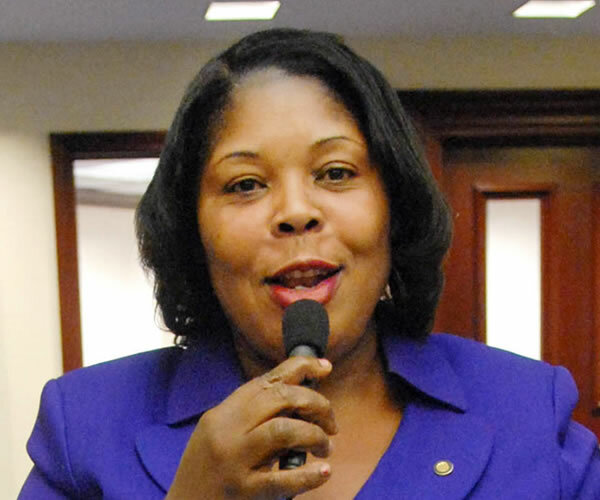 Daphne Campbell, a Democratic member of the Florida House of Representatives recently spoke on Channel 7. She called to boycott Bahamas tourism for displaying a discriminating attitude towards Haitian children. As long as the immigration policy remains unchanged, arresting and deporting Haitian children born in Bahamas to Haiti, a land completely unknown to them, is unfair and injustice. She pledged to raise awareness around the world and has given Bahamian officials one week time to reverse the policy. However, the Bahamian Foreign Affairs and Immigration Minister Fred Mitchell dismissed her threats as amazing stupidity and rejected her claims about mistreatment of Haitian children as baseless allegation. About 80% Haitians follow the Roman Catholic faith. Protestants make up another 16%, 3% practice other religions and 1% Haitians do not follow any religion. 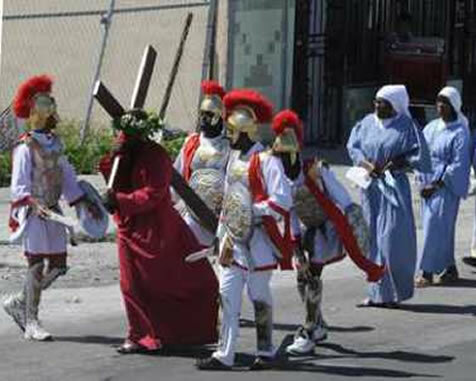 Thus, Good Friday is an important day in Haitian calendar. It's customary for Catholics to fast for the day, eating only one full meal that includes fish but absolutely no meat. Although one of the most important parts of the Easter tradition in Haiti is the meal, there are many Haitians who don't eat anything and others only eat bread and water. No one, whether Catholic or Protestant would put red meat on the table on this holy day, because as the myth goes, red meat put on the table would turn into blood. Food is generally served in the noon; people eat rice and fish cooked with white beans and beets root. During dinner time, the boys wander around with their friends, make and fly kites. In some areas, there are contests for the nicest kites or the kites that fly the highest. After a long hiatus of 18 year renovation, the Caribbean Marketplace in Miami's Little Haiti has been reopened on Friday, 18 July 2014 between 5pm and 7pm, following a grand reopening ceremony. This 9,500 square foot market is located right on the next door to the Little Haiti Cultural Center and is easily identifiable by its bright colors and vibrant activities. It houses gift shops, art and craft centers, a space for private events, refreshment and concession area and hosts Caribbean culture, community and special events. 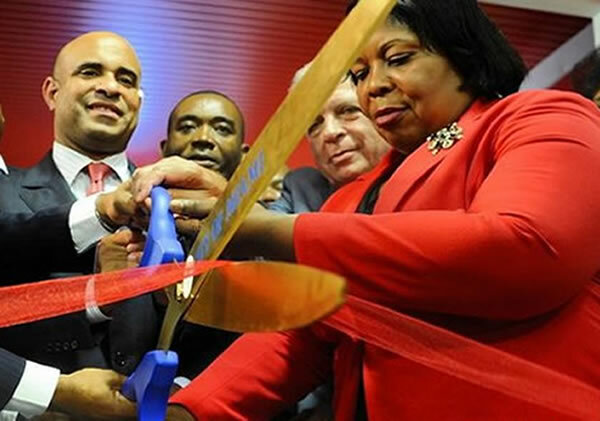 The ribbon cutting ceremony was attended by the Haiti's Prime Minister Laurent Lamothe. There were many other notable dignitaries present to witness the occasion including Miami-Dade County Commissioner for District 2 Jean Monestime, Miami City Commissioner Keon Hardemon (District 5), Florida State Senator Oscar Branyon II and Florida Representative Daphne D. Campbell. The re-establishment has been completed under a joint effort by the city of Miami-Dade County Department of Cultural Affairs, the Little Haiti Cultural Complex (LHCC), District 5 Commissioner Keon Hardemon and the Northeast Second Avenue Partnership (NE2P) with a funding of $550,000 for the renovation work from Ford Foundation.